"With hearts and minds open, we can learn from the wild and domesticated horses in this wonderful book." "This collection of stories will remind anyone who has ever had a horse as a best friend,confidante, and soul mate of what a special gift that can be." 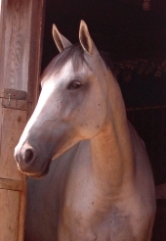 "You don't need to be an avid equestrian like me to truly enjoy this book, as the stories resonate with a spirit of hope and harmony that is shared by all creatures great and small." 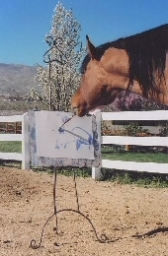 "Through their courage, sensitivity, and kindness, the horses in this book become our inspiration and guides." With twenty-one dramatic true stories of courageous, loyal, and loving horses who found their life's purpose, this book reveals the wonders possible when both humans and horses are encouraged and allowed to follow their best instincts. If you’ve ever thought that horses only display abilities on racetracks, in riding stables, in beer commercials, or in movies, you’re missing out on their ever-expanding services as sentient partners and willing coworkers. 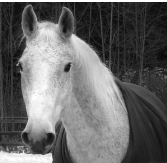 This book introduces horses who aid in therapy sessions, give riders with disabilities freedom and mobility, heal childhood abuse, save lives, help people fulfill dreams, and bring messages of hope and unconditional love to those who need them the most. 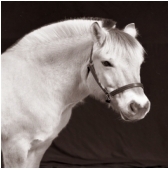 Molly, a three-legged pony and survivor of Hurricane Katrina, who had her story go viral on the Internet, land in the New York Times, and featured on CBS evening News. After her loss of a leg, surgery, and a prosthetic device, Molly inspired the people of New Orleans and admirers around the world. Now she visits children’s hospitals, nursing homes, and other places to spread her message of hope and recovery. Sankofa, a wise-beyond-his-years Arabian stallion, made it possible for social studies teacher Miles J. Dean to complete a cross-country journey in tribute to African American ancestors. Dean’s goal was to heighten awareness about Black Cowboys and the contributions of African Americans. Millions of adults and school children followed their odyssey as Dean and Sankofa made history come alive. 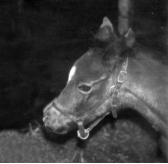 Viola, a Norwegian Fjord horse who was imported from Norway to become a broodmare in upstate New York, eventually made her way to Tanya Welsch and MN LINC (Minnesota Linking Individuals, Nature, and Critters). Viola put her mothering skills to excellent use as a co-therapist in the animal-and-nature-facilitated psychotherapy, learning, and wellness program for youth and families. With her innate maternal wisdom, Viola is incredibly intuitive and nurturing, especially with at-risk youth. Diana, wild mustang and lead mare of the rare Gila, Arizona herd of wild horses, protected her herd, teaching the great lesson of forgiveness. Her rescuer Karen Sussman documents the plight of wild horses who faced elimination until they found refuge on a ranch in the Badlands on the Cheyenne River Sioux Reservation. 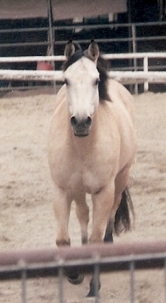 Butch, a retired gelding, who showed such an unswerving belief in a profoundly mentally retarded girl that he restored a mother's hopes for her child's future. 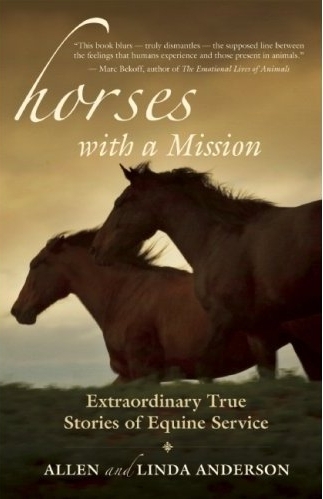 Horses with a Mission is also available at Amazon.com, Borders.com, bn.com, and other chain, online, and independent bookstores nationwide. to read past Angel Animals newsletters. "Horses with a Mission is an important book, one that will spark your imagination and inspire you to embrace the magical moments in life that happen every single day. It also reaffirms what any genuine horse lover knows: that these sentient creatures deserve our respect. This book was a joy to read."